This seaside fishing village with bustling waterfront offers a picture perfect getaway for all types of travelers who seek a getaway found in a gorgeous natural setting. 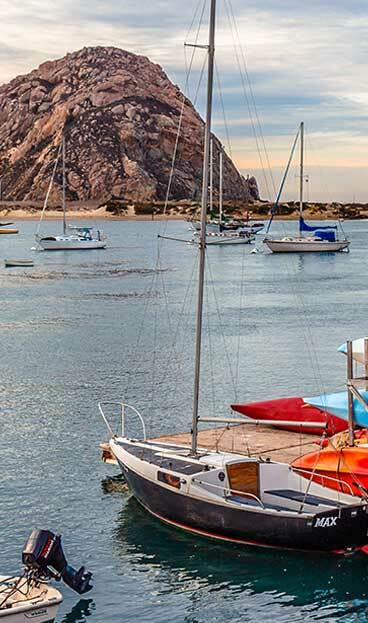 Located along coastal Highway 1 in San Luis Obispo County, Morro Bay offers year round activities in an unspoiled slice of California. From ocean-side golf, kayaking, sailing, hiking, fishing, surfing, biking, and bird watching, to kite flying, shopping, dining, wine bars, local craft brews and miles of unspoiled beaches, there is something for all ages to enjoy.